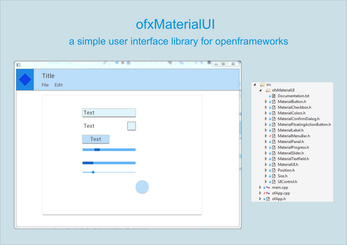 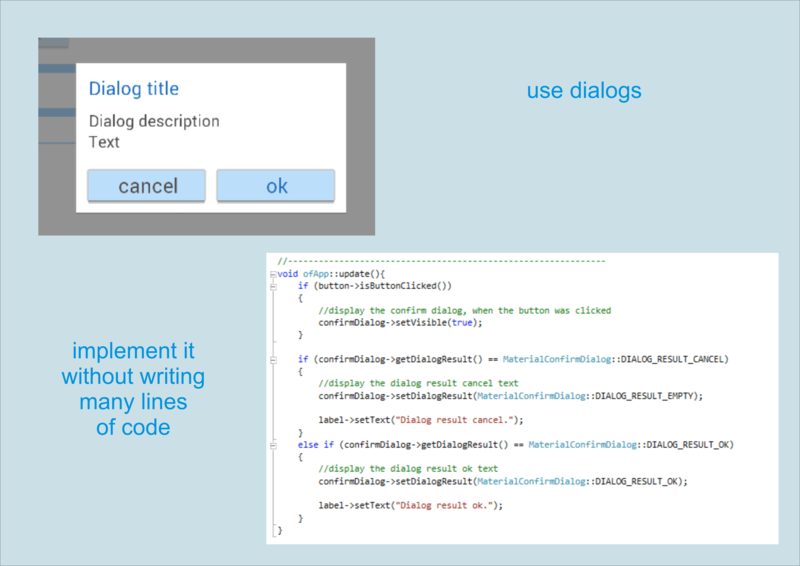 This is an addon for openframeworks, to build user interfaces inspired by the material design. 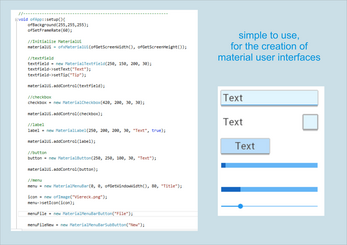 The material color palette is implemented with c++ macros. 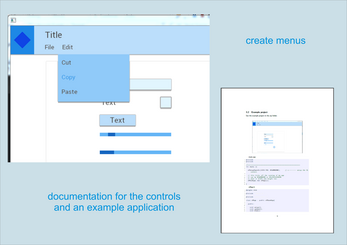 Pdf documentation, currently 18 pages and an example project are included. 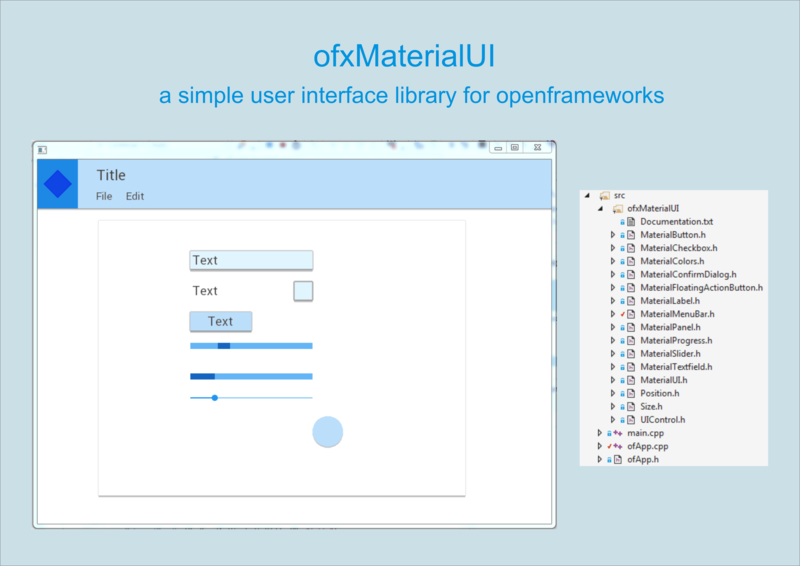 License information: You can use the asset in your software projects, commercial and non commercial, but are not allowed to sell the ofxMaterialUI addon. 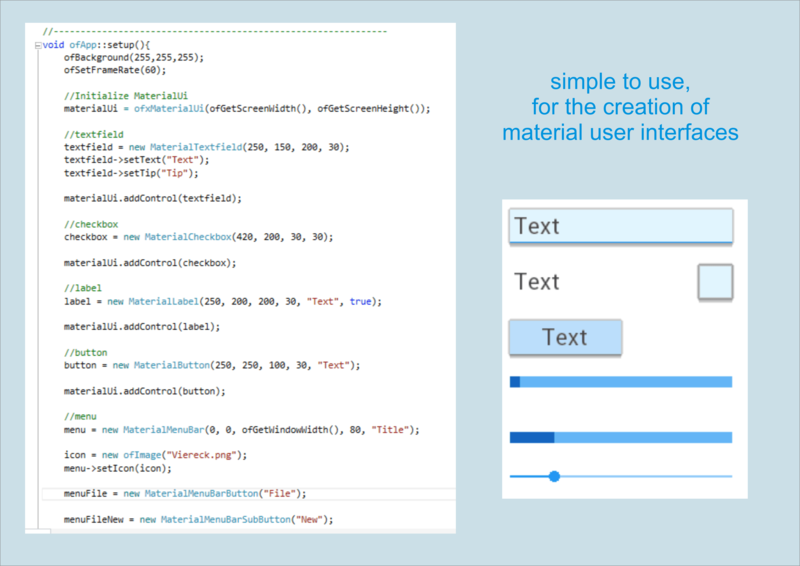 Because this project is currently in development, you get the updates for free. 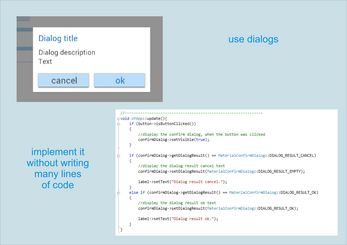 Write me, if you have questions, or ideas for new features.